Post war made German WWII Spanner Bolt (or wrench), tool. 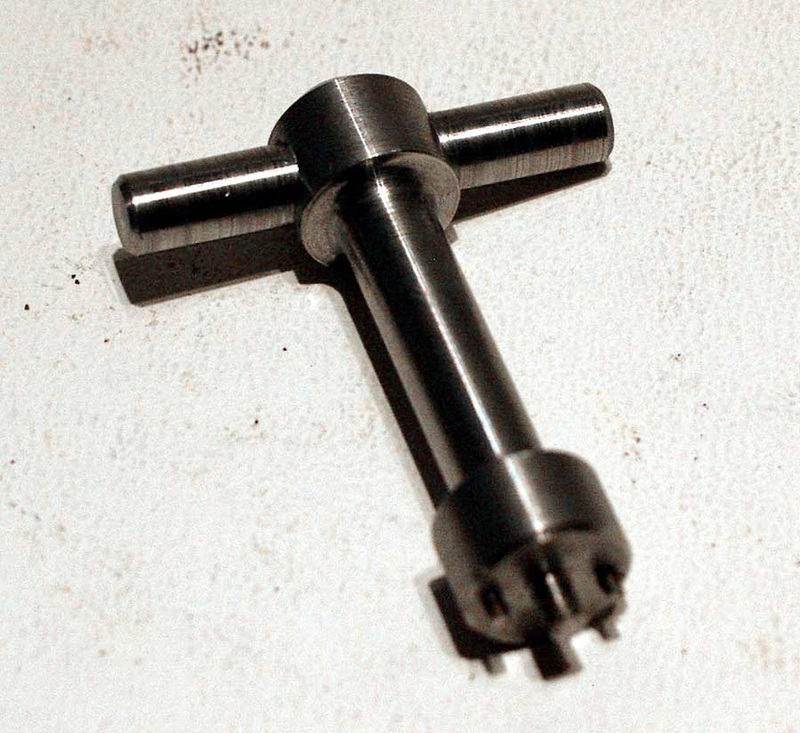 This tool is used for tightening and loosening the spanner bolts on a Paratroopers M38 Model helmet. This tool has been made from an original and has been engineered from high quality steel on the body and hardened steel on the engagement shafts. Finally it has been left in its natural steel finish. The originals were made by Eisenhüttewerk Thale/Harz in Germany and this tool has also been designed and made in Germany. 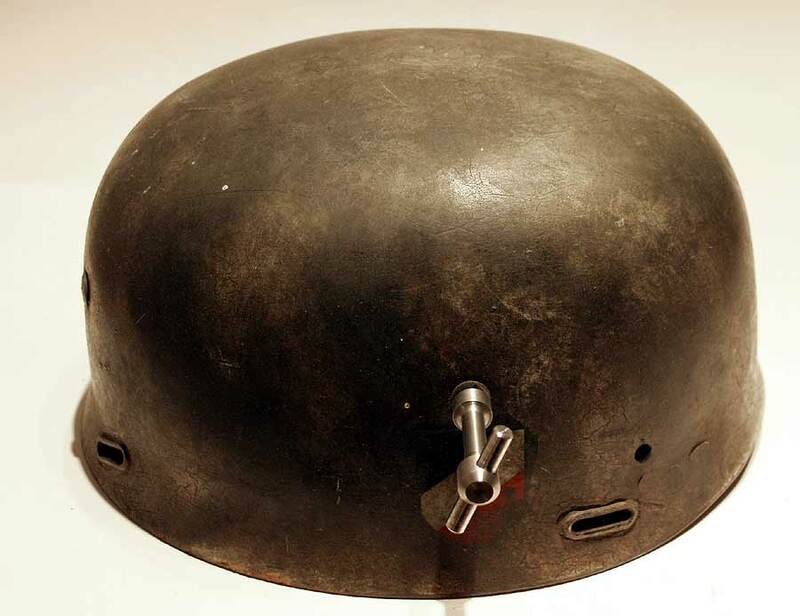 The M38 German Fallschirmjager or Fallschirmjäger Helmet (Deutscher Fallschirmjägerhelm), was the first war production version (After the M36 and M37 versions) and used the spanner bolts to hold the liner to the shell and the chinstraps to the liner. The Schraubenschlüssel is an incredibly rare item to get hold off as an original. Due to its size and limited field availability it went missing very frequently. There are also very few pictures of them available - try a Google search! This tool has been tested on five original helmets and it fits all the spanner bolts. However it will not fit some reproduction helmets bolts due to them being made in different sizes! This item is the perfect compliment to your replica or genuine World War Two German Airborne helmet. It is perfect for both display and re-enactment as well as being used for maintenance on your helmet! The helmets below are not for sale, they demonstrate the tool being used on an original helmet and a replica helmet to demonstrate how well it fits! 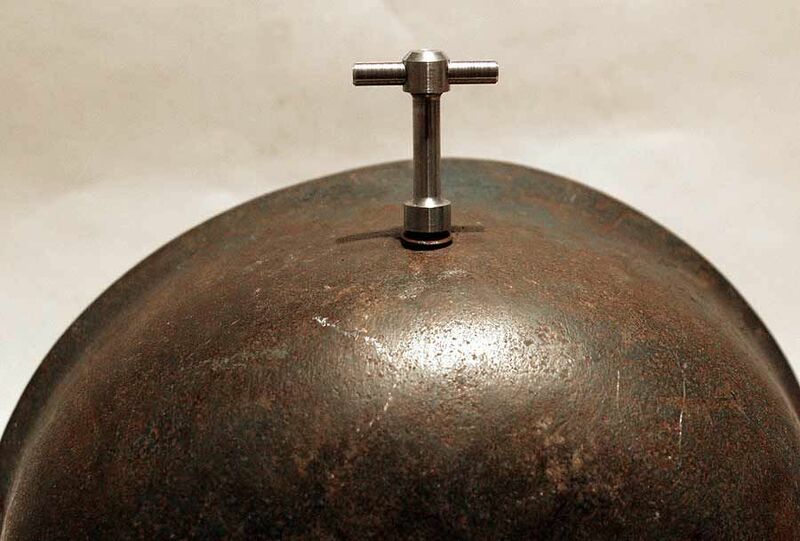 The measurement from the centre of the small hole to the centre of the other small hole is 8mm - reflecting a standard Paratrooper Helmet spanner bolt size. You may want to measure this on your helmet and ensure they are in a perfect straight line and aliged to the centre hole. Of course if you are using this for display then no need to do this! 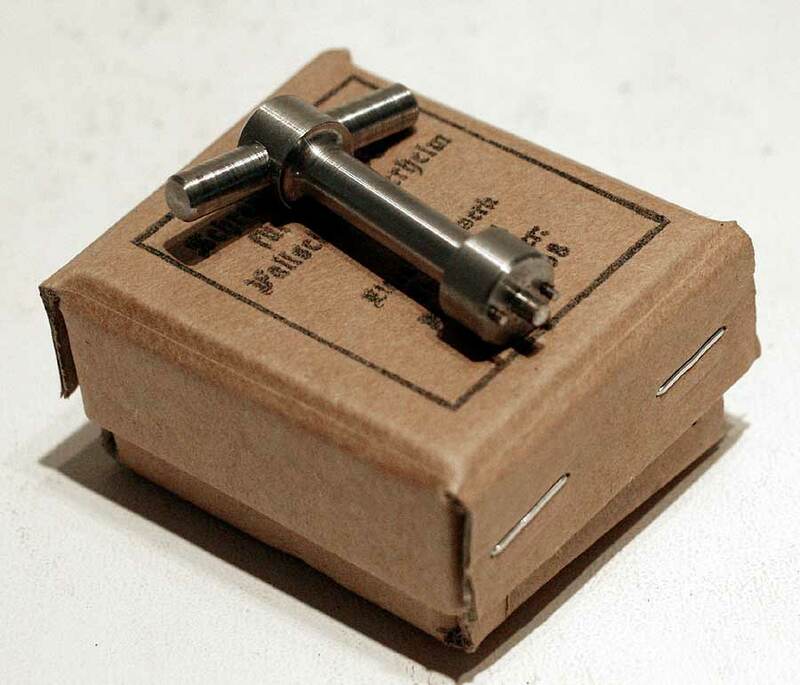 WWII Spanner Bolt tool 8mm comes complete with free cardboard box with manufacturer stamp on lid. This is the same tool as the 8mm version above but in 7mm to match most early to mid-war Fallschirmjaeger M38 helmets. It also comes with a free box and waxed paper wrapping just like the originals. 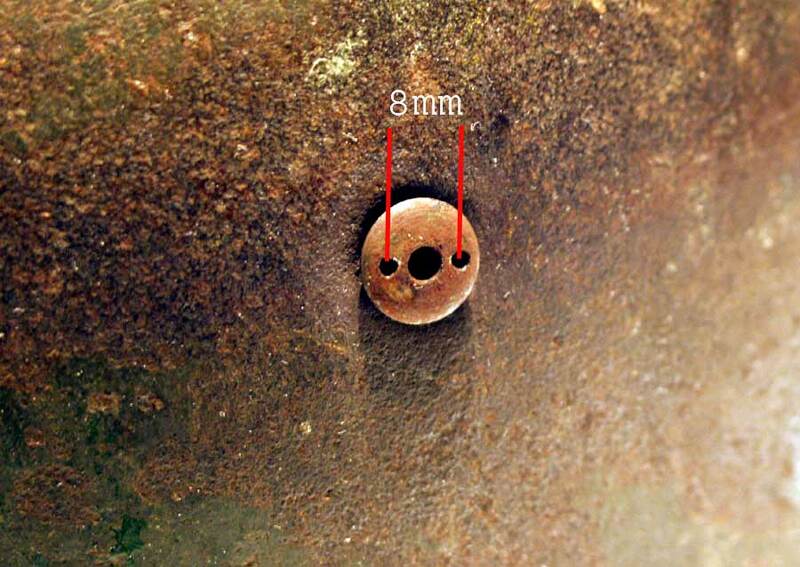 The measurement from the centre of the small hole to the centre of the other small hole is 7mm - reflecting a early to mid war Paratrooper Helmet spanner bolt size.